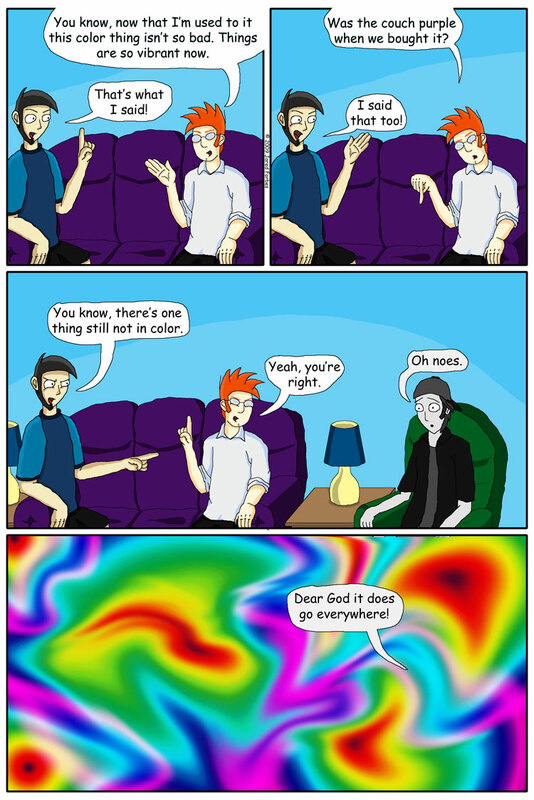 Next comic is up, continuing the epic saga of "Now in Color." In terms of scale, I think I can get away with calling it epic, seeing as half the comics thus far have been wasted on this minor storyline. Did I say minor storyline, I meant most important storyline evers, or at least the most important one thus far.